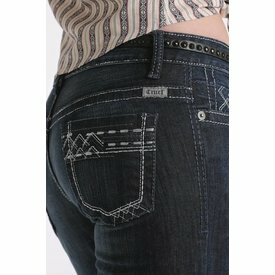 Dark Wash Mid Rise Slim Abby Jean. 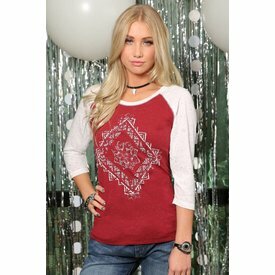 Cranberry and Cream Raglan T-Shirt with Aztec Screen Print. Heathered Cream and Blue Long Sleeve Cold Shoulder Raglan T-Shirt.